We offer a variety of designs for glass, canvas and even wood. All supplies provided and we will come to you! Great for family fun, corporate team building events, birthday parties and so much more. Pick your theme and choose your design. We offer different options to fit your budget. Please contact us for a party estimate. Learn the basics of brush pen calligraphy with this class. We will go over all the basic strokes and then how to build the alphabet. We will practice with a variety of pens and break down each concept. All techniques are demonstrated step by step and easy to understand. No experience necessary and all supplies provided. 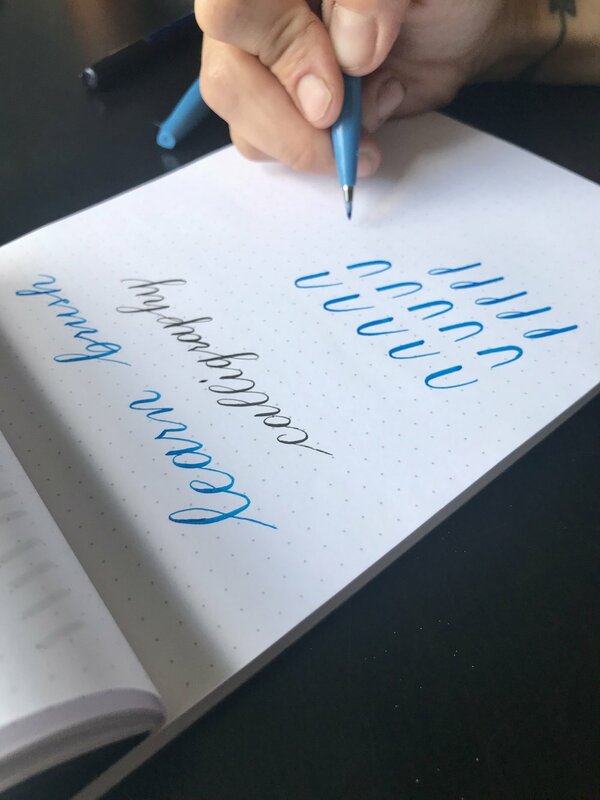 Whether you want to address envelopes, make cards or even hand written notes, this introduction to calligraphy will teach you the basic strokes, how to form letters and tips and tricks to understand how to use a nib, holder and ink. Weaving is a fun way to create beautiful wall hangings of all shapes and sizes. Come learn the basics of weaving and complete a mini-weave start to finish. Macrame, another popular fiber art is all about knots! Learn some basic knots and how to form different designs. We will make a mini macrame wall hanging. Want to host a craft that isn't listed? No problem! We are constantly expanding our crafts and love working with customers on new ideas.